The Paralympic gods do exist. Last month, the International Paralympic Committee gave a gift to the U.S. when it announced its detailed plans to provide online coverage of the London 2012 Paralympic Games. That seemed the only outlet for Americans to watch the Paralympics for the first time in decades — no, history. Then Tuesday, the United States Olympic Committee announced it will provide its own broadcast and online coverage of the Games, focusing on the U.S. Paralympic Team. No more outsourcing from the IPC. This coverage will be made in the USA. America saw its first glimpse of a Paralympic athlete compete on TV when South Africa’s Oscar Pistorius, a double amputee, ran the 400 meters. But that was nothing new for viewers overseas, as the Paralympics had been long broadcasted on European TVs. The new partnership struck between the U.S. Paralympics and NBC has been a long time coming. Those in the U.S. familiar with the Paralympics had questioned when or even if the Games would ever reach American broadcasting networks. On Tuesday, those questions have been answered. And though much of America hasn’t heard of the Paralympics — mostly because it never had the opportunity to watch it on TV, as most sports are consumed — it has now. 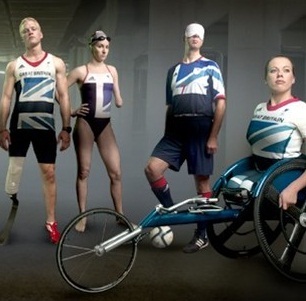 The London Paralympics will be held from Aug. 29 to Sept. 9.